Rediff.com » Business » Will Jaitley present his 6th full Budget next year? A K Bhattacharya lists three reasons why Finance Minister Arun Jaitley will most likely present a full Budget on February 1, 2019. North Block, headquarters of the Union finance ministry, has now got busy preparing for the Budget for the next financial year. Its recent preoccupation with why the Reserve Bank of India (RBI) should not transfer more resources to the central exchequer, provide more loans to the small and medium sector enterprises, and relax the norms for recognising stressed assets of banks is now almost over. The RBI board meeting on November 19 indicated that truce has been declared, even as concessions are going to be made by both the central bank and the Union finance ministry on most of the contentious issues. A give-and-take approach seems to have paved the way for lowering the temperature. North Block can now focus on its annual exercise of preparing the Budget. An indication of that was available recently. Even before the superannuation of two senior secretaries in the finance ministry, the government announced their successors. Finance secretary Hasmukh Adhia retired on November 30, 2018, and expenditure secretary Ajay Narayan Jha will reach his retirement age of 60 years at the end of January 2019. On several occasions in the past, finance ministry secretaries due to retire just a few months before the presentation of the Budget would get an extension of about three to four months to provide continuity in the Budget-making exercise and allow them to be around to expedite its passage in Parliament. No such luck this time for the finance ministry secretaries approaching retirement. Ajay Bhushan Pandey, who is at present the chief executive officer (CEO) of the Unique Identification Authority of India (UIDAI), replaced Mr Adhia at the end of November. Mr Pandey as the revenue secretary will continue to hold additional charge of UIDAI and the chairman of the Goods and Services Tax Network till further orders. According to Finance Minister Arun Jaitley, the government had alternative plans for Mr Adhia, but the officer, who oversaw the implementation of the GST among other things during his four-year-long stay in the finance ministry in different capacities, could not be persuaded to stay on in any job after his retirement. A more significant appointment is that of Girish Chandra Murmu, a 1985-batch Gujarat cadre IAS officer and a special secretary in the revenue department, as the next expenditure secretary. He will succeed Mr Jha, who is due to retire on January 31, 2019. Remember that the Budget for 2019-20 is to be presented just a day later on February 1, if the schedule for the last few years is maintained. Mr Murmu is considered close to Prime Minister Narendra Modi, with whom he worked in Gujarat as principal secretary when the latter was the state’s chief minister. He takes immediate charge as an officer on special duty in the department of expenditure and will become the expenditure secretary from February 1. A question that arises is that if Mr Murmu is already in the revenue department, why he was not chosen to succeed Mr Adhia as the next revenue secretary. Is it because the presence of Mr Murmu in the expenditure department as its secretary will be more useful for a government that is going into the elections, when successful and expeditious implementation of expenditure programmes assumes crucial importance? Or is Mr Murmu being groomed to become the next finance secretary, as he has already spent some time in the department of financial services and the revenue department? In the normal course, however, economic affairs secretary Subhash Chandra Garg should become the next finance secretary. After the superannuation of Mr Jha, Mr Garg will be the senior-most secretary in North Block, belonging to the 1983 batch of IAS officers from the Rajasthan cadre. He is due to retire only in October 2020, whereas Mr Murmu is due to retire almost a year earlier in November 2019. These appointments have also put together the new team of finance ministry secretaries who will be responsible for the next Budget. The secretaries who would form the Budget team this year would be Mr Garg, Mr Pandey and Mr Murmu, with Mr Rajeev Kumar as the financial services secretary, providing his inputs on the financial sector. But will this be a special Budget for the Modi government? In the past, no government has presented more than five full Budgets in its full tenure of five years. Thus, Mr Jaitley is expected to present an interim Budget, with a vote on account to secure Parliament’s approval for expenditure for a period of four months of 2019-20. In an interim Budget, there are no taxation proposals for the next year. But it contains the revised Budget numbers for the current year and an expenditure programme for the next year, which is often used by the ruling party to woo voters in the run-up to the general elections. There is, however, nothing in the law that bars a government to present a sixth full Budget during its tenure. Hence, the current debate within the government is whether a full Budget with all tax proposals and expenditure programmes can be presented on February 1, 2019. Since the Budget is now presented much earlier than in the past and it is passed before the next financial year begins, it is possible to approve a full Budget before the general elections schedule is out and the Election Commission’s code of conduct is in place. Another argument in its favour is that the presentation of a full Budget would avoid the uncertainty in the markets that a delayed Budget in July after the elections might entail. Presenting a full Budget in February 2019 will also help the government offer a few direct tax concessions for individuals or companies, which could help the ruling party electorally. The Modi government has ushered in many changes in the way Budgets are presented by the finance ministry. It merged the presentation of the Railway Budget with that of the General Budget. It advanced the presentation of the Budget by about a month to enable its passage by March 31, allowing the expenditure on programmes for the next year start without any delay. The roll-out of the GST in 2017 also meant that the Budget is now focused only on direct taxes and the Customs duties, leaving the determination of GST to the GST Council. 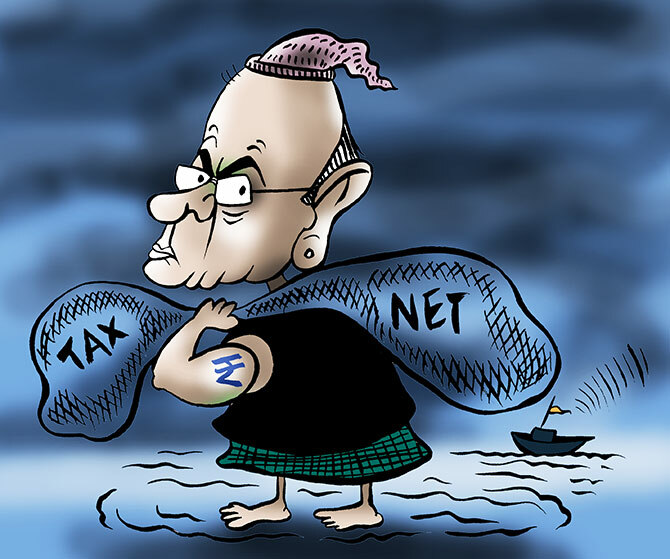 Will Mr Jaitley introduce a fourth departure from past practices by presenting a full Budget with the usual tax proposals and expenditure outlays for 2019-20?